Situated near the top of Crawford Notch along Route 302 in north-central New Hampshire, the Bretton Woods Nordic Center offers skiing with the magnificent backdrop of Mount Washington. 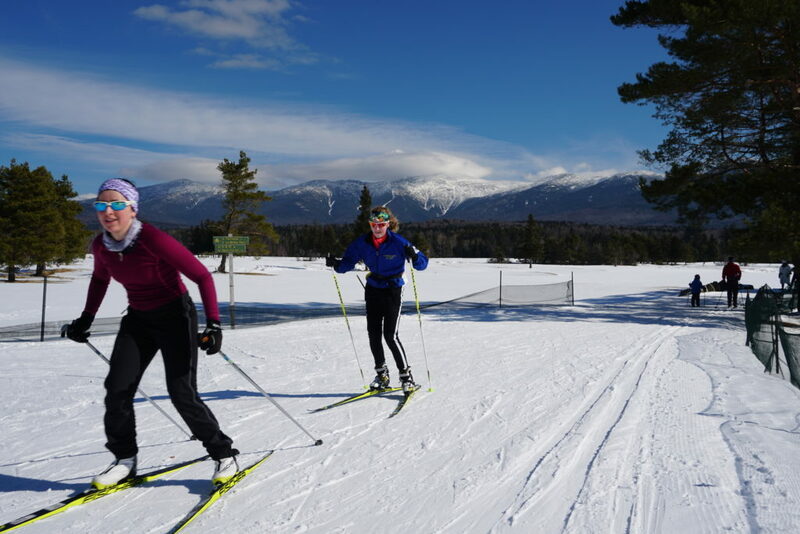 One hundred kilometers of groomed trails wind around a golf course, through forested land and along streams for a selection of skate and classic skiing that is spread between the main Nordic Center and trails bordering the Bretton Woods alpine area. The Bethlehem Express Quad brings guests to five miles of higher-elevation trails adjacent to the resort. 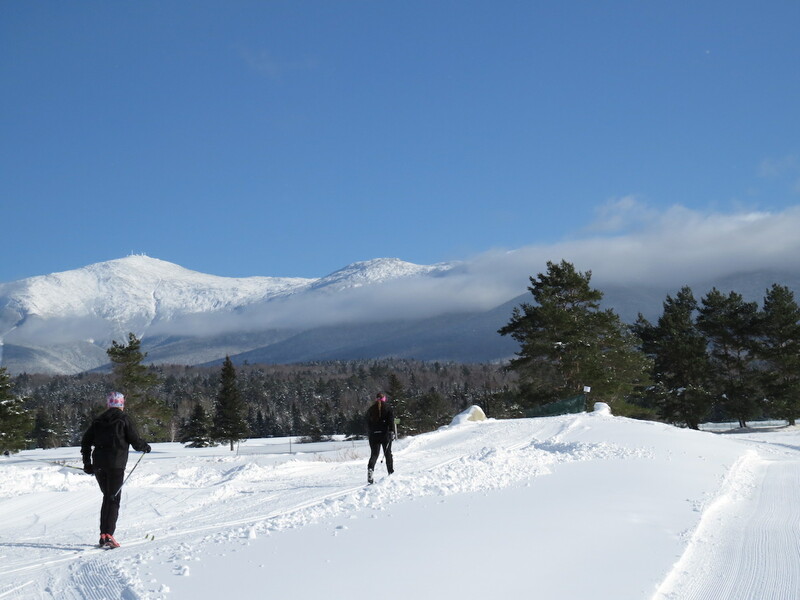 The Nordic Center, which doubles as the golf clubhouse in the summer, is located across the course from the Omni Mount Washington Resort, declared a National Historic Landmark in 1986 and easily recognized by it’s red roof. The center features a large locker room, ski shop, sitting area and a grille with a full bar. The center also hosts several races each year including the Geschmossel Classic Ski Race (15-kilometer classic), the Mount Washington Cup (10-kilometer freestyle), and possibly the most well known, the Bretton Woods Marathon (42-kilometer/21-kilometer classic). The Mount Washington Valley that encompasses the towns of Jackson and North Conway has numerous lodging options that range from small bed and breakfasts and inns to large chain hotels, and of course the Omni Resort. Dining options in North Conway—a 40-minute drive away—are also nearly endless and boast a range of offerings from family friendly eateries to finer culinary experiences.